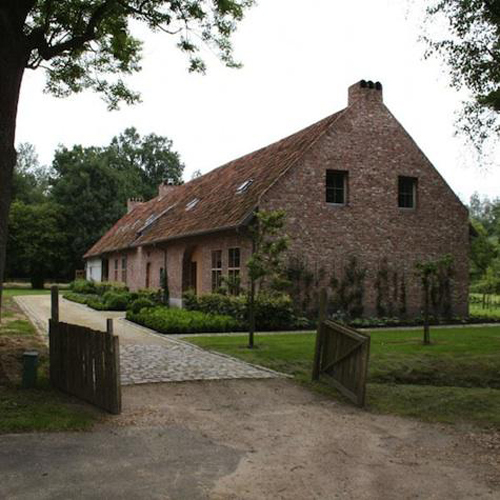 I stumbled across this incredible B&B in Belgium, Moka & Vanille, a restored farmhouse designed by the owner, Dorien Cooreman. 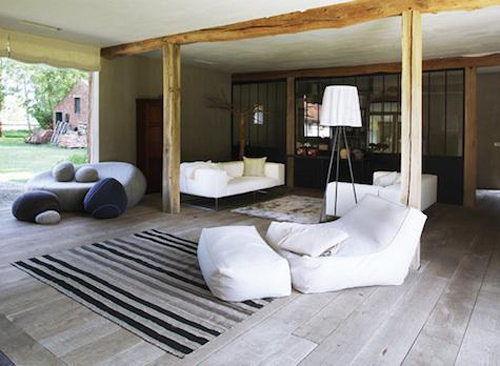 This, I would say is quintessential Belgium country stye – understated yet luxurious. Earthy colors and untreated wood. Paola Lenti furniture. 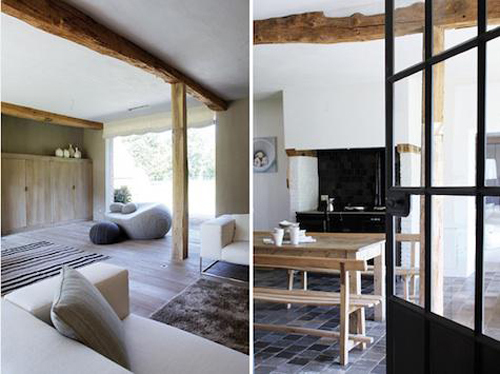 Love the mix of steel doors/windows with the rustic wood ceiling beams. Lime paint throughout the interiors. Gorgeous and simple farm door with eye-catching hardware. 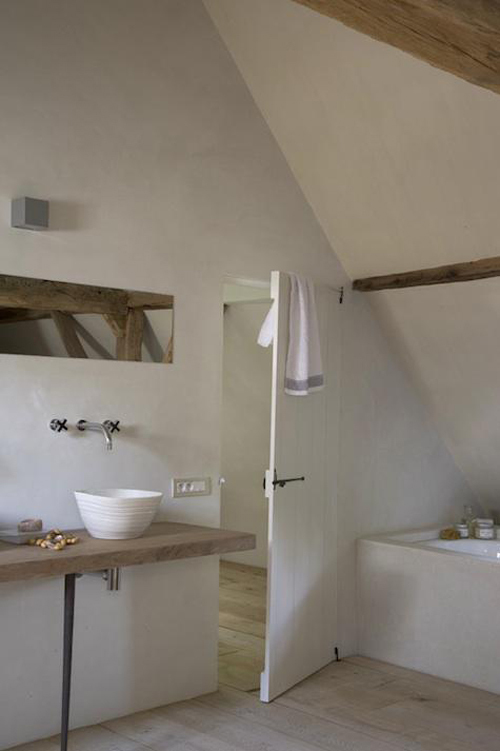 Notice the hand-thrown porcelain basin by Anja Meeusen contrasted with the modern faucet. Simply beautiful! Lovely. I have always wanted to live in a farm house. When i was a child we lived in one with a tin roof. I’ll never forget falling asleep to the sound of rain on the roof. Wow….gorgeous love the contrast here…rustic but modern! That open living/sitting room is just amazing! I love the rustic/modern pared down look! I love this place too! I featured it on my blog too and was searching high and low for the designer. Finally found it by chance. It’s by Aid Architecten from Belgium. I spotted some beautiful work by them flicking through “500 Timeless Interiors.” Unfortunately they have the world’s most disappointing website….but check out the book if you get the chance. I have it on order.